Police are appealing for information after a cyclist was injured in Hartlepool. A cyclist has been injured after a rope was tied across his path, causing him to be thrown from his bike. Cleveland Police are appealing for information following the incident which took place around 11pm on Tuesday, July 24, close to the public toilets on the promenade from Hartlepool towards Seaton Carew. The 20-year-old man struck the rope at chest height and was thrown from his bike, leaving him with injuries to his chest and upper arms. 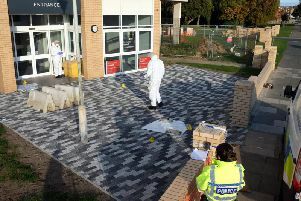 Officers believe that there were people at the location at the time and are asking them to come forward with information. It is not known if the rope was placed deliberately. Anyone with information can call PC Alexander Blackwell from Cleveland Police on the non-emergency number 101, or Crimestoppers anonymously on 0800 555 111 or www.crimestoppers-uk.org.